Quite a few brew days have passed since my last post, 10 to be precise. I’ve not had time to blog and brew, I have chosen brewing. I’ve brewed 4 Berliner weisses and one Gose, 2 IPAs one smoked english IPA, one hoppy american Northeast IPA, 2 dark milds, and a saison. I’m currently on batch 49, and thinking about what should be batch 50. Since we’ve last spoken, I’ve made progress on my Berliners, with 1/2 of batch 6 being just about there. Batch 7 is a rebrew, hoping to recapture the magic. If it works, I’ll consider that beer conquered, and tune my fruiting of it. I’m waiting a few more days for to taste it for sourness. If it’s good, I’ll write it up, and finally include the results of my Berliner survey. Then put that beer on autopilot. My Gose, Down Gose Frazier, is also in a similar situation, brewed but chilling. It’s waiting on final souring verdict, to see if it’ll need any adjustments. I’m considering a watermellon addition to it. It’s not that far off my berliner recipe, but I did target a much lower sourness for it. I’m hoping the recipe changes are sufficient to distinguish it more than just a salty Berliner. My hoppy beers have still been giving me plenty of things to work on and troubleshoot. I tried to brew a maple smoked english IPA. I started with an english IPA recipe from Mitch Steele’s IPA book, swapped in some smoked malt, and some grade b maple syrup. The beer was a small 1g batch. Unfortunately it never really turned out. 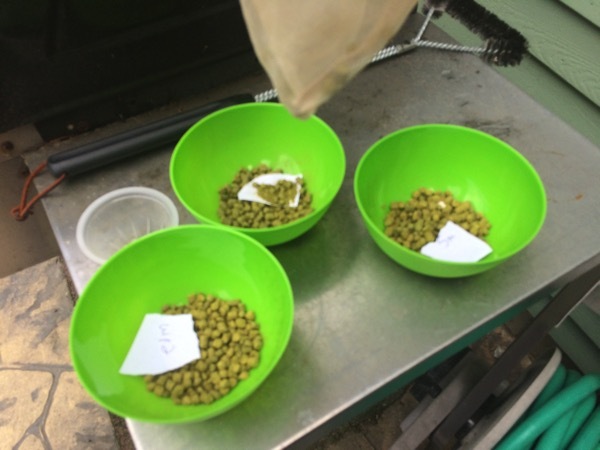 I had a hard time racking off dry hop, and ultimately once kegged, the beer wouldn’t pour due to dry hop material. I have to decide if I want to shorten the dip tube on my 2.5g keg, or find an alternate solution. The northeast IPA, a version of Ed Coffee’s Riverwards has turned out pretty good. However it’s already leaning a little on the hop / malt sweetness side. I think has to be due to a combination of o2 pickup, maybe aged hops, or it could be the tiny amount of golden naked oats I threw in. It’s something I don’t like, and have struggled with in past bigger hoppier beers. I buy hops in bulk, maybe it’s time to try a few fresh oz’s to see if I’m screwing something up. 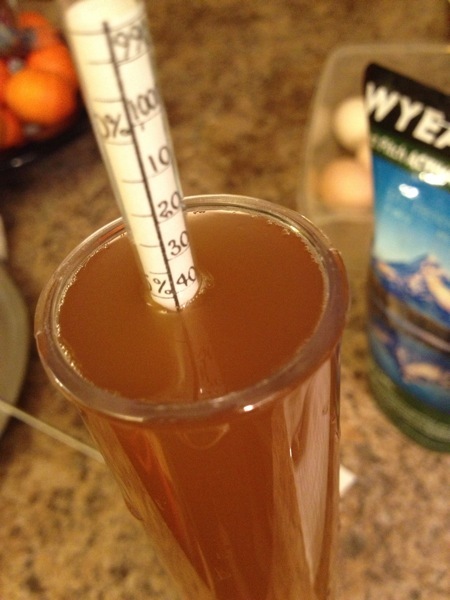 The beer was dry hopped very heavily in primary, and transferred using c02. Despite that, I still am tasting that sweetness I don’t like from my hoppy beers. At just over two weeks old, with an FG of 1.010, it’s not too shabby. However, I think in a few more weeks it’ll start getting sweet and flabby. I suppose I must consume this fast (one for the team). I plan on brewing both of these IPA’s again. Another point of note on this beer is I used Wyeast 1318 London III this summers Yeast Darling. The last year or so, it’s been getting plenty attention. It came up in the Alchemist chop and brew video, Bear Flavored’s post on 1318 as well as in Ed’s post, and most recently on the mad fermentationist blog. I’m pretty happy with the yeast character in this beer. I’ve always been a fan of 1968, but have never gotten the attenuation I’ve wanted with it. I however have never really been able to get the fruity esters that I picked up from gumballhead. Three Floyds use of 1968 initially drove me to the yeast. I think it might be time to retire that as my house English yeast, and get with the drier, hipper, London III. I also used bru’nwater for the first time for this beer. I’m not sure I’m doing it right, I have a few experiments I’d like to run before I think I know what I’m talking about with it. Between the two IPA’s I brewed a saison for a BFD club comp. I used a modified version of Ed’s Farmer in the Rye, my recipe like one of his, used the popular and easy wyeast 3711. I liked the resulting beer, but it always felt too full to me. It received an average score in the competition, and independent feedback said he preferred a tarter / drier saison. Even with 6% dextrose, and a 1.004 fg it had a thickness. I’m drawn to much drier / crisper & more bitter examples of the style, perhaps more dupontian in style. I gathered a pitch of the fabled Dupont strain from Mike I hope to use soon, my next saison will be a table strength example for sure,I rather enjoyed the Petite saison I brewed this past fall. I’ll plan to brew a Saison Brett Clone to follow. Also between the IPA’s were back to back batches of english mild. 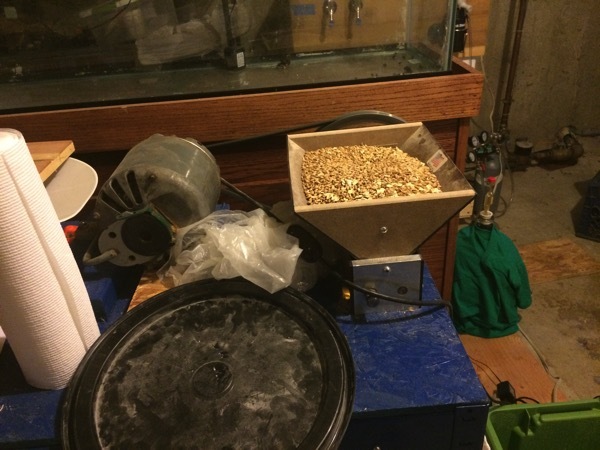 The milds were brewed as part of an introductory brewing presentation Mike and I gave. My slides are here. It’s a detailed presentation, we spent 3-4 hrs brewing, eating, discussing, and sampling. 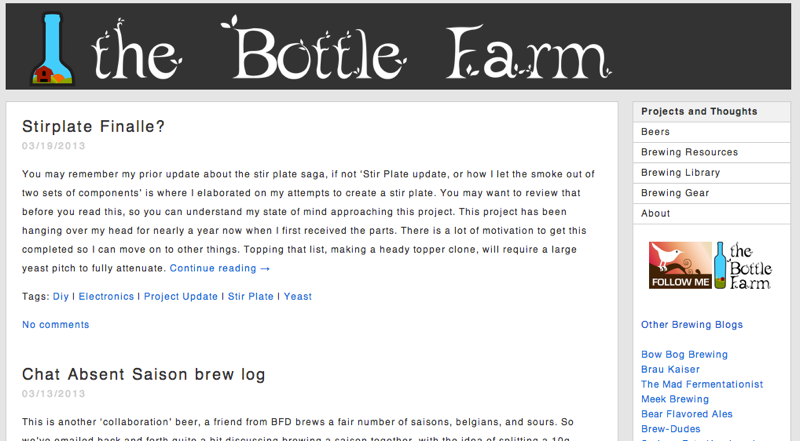 I had a great time and it renewed my interest in developing future brewing presentations. I ended up with 3-4 g of regular mild between the two sessions, and a gallon of mild fermented with saison yeast. There isn’t much difference between the two. The regular version, fermented with s-04 was malty, caramely, roasty, and chewy, and the saison version is all that, with about 50% of the chew. I want to jack up the carb on it, and see how it serves at 3 vols. 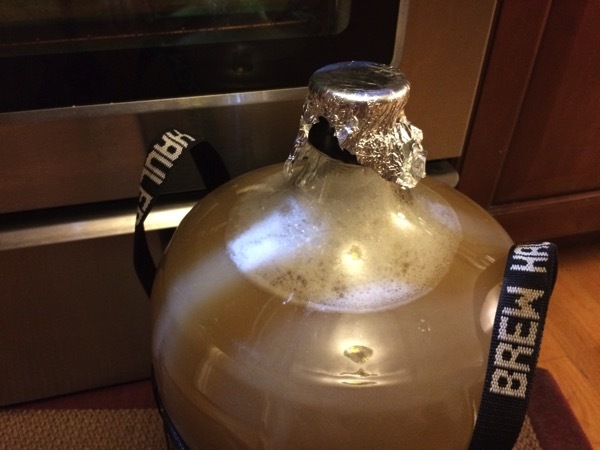 I am also thinking I want to try this with a touch of smoke, last but not least, I think I will brew one like LAB – buck mild, a coconut / cayenne mild. Interesting with a nice touch of heat. Speaking of heat, I had a freezer malfunction resulting in a warm keggerator (50*). I managed to replace the freezer with a very similar sized model, and it dropped right on the rollers, and the collar. Hopefully I’ll get many more years from it. Freezers are much cheaper price point wise compared to fridges or speciality keggerator. I am however well overdue for some replacement lines. Now that I’m back up to date, now that we’ve reached the peak of summer, I’m not sure how long it’ll be before I update again. 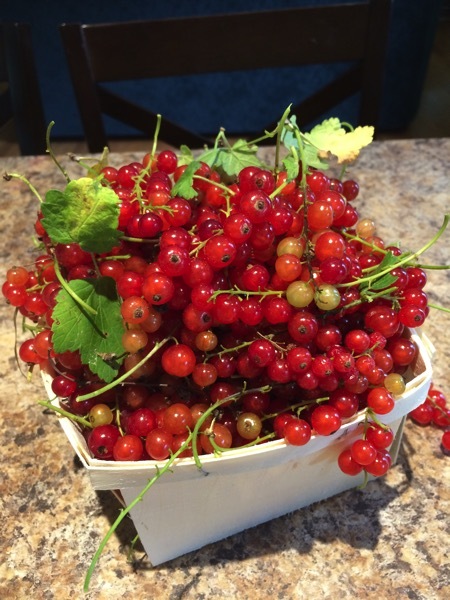 Look forward to hearing about how these currants taste in something equally tart.